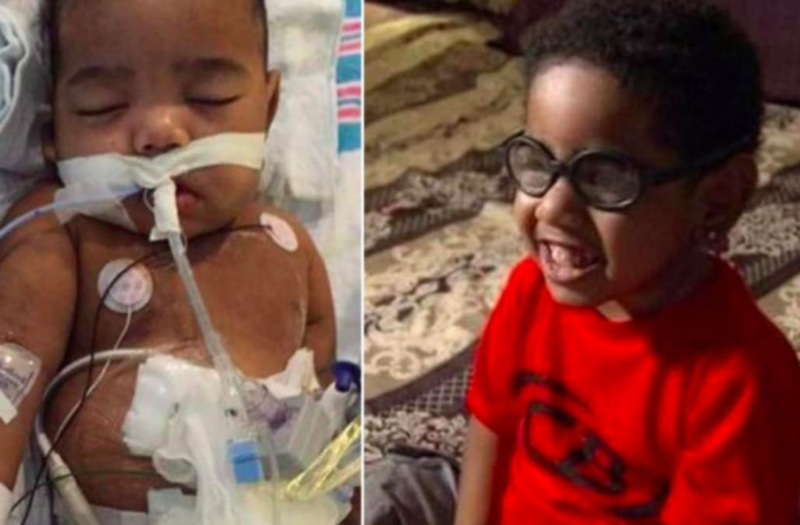 A 2-year-old boy has been denied a kidney transplant because his father violated probation, according to the child’s family. A.J. Burgess was born premature and without kidneys. His father is a perfect match, but because Anthony Dickerson was recently picked up for fleeing from police and possessing a weapon in the commission of attempted felonies, he cannot donate a kidney to his own son, he says. He has been in and out of jail since 2011, according to Gwinnett County Jail records, the Atlanta Journal-Constitution reported. He is currently free on $2,600 bail. He and the boy’s mother, Carmelia Burgess, told several local news outlets that Emory University canceled the planned transplant surgery on Oct. 3, saying Dickerson must provide evidence he has complied with his parole officer for three months. “What do he got to do with the mistakes I made? Nothing,” the father told WXIA-TV. A statement from the hospital said medical confidentiality laws prevented officials from commenting specifically on the child’s case. "Emory Healthcare is committed to the highest quality of care for its patients. Guidelines for organ transplantation are designed to maximize the chance of success for organ recipients and minimize risk for living donors," the statement read. "Because of privacy regulations and respect for patient confidentiality, we cannot share specific information about patients." A.J. needs round-the-clock care and recently suffered a stroke, his mother said. His health is deteriorating and he also needs bladder surgery. A GoFundMe page has been established to help with living and medical costs.